Are you prepared for this year’s sweltering heat? DeMarco Mechanical Services Inc. can help you through your summer struggles. When it comes to air conditioning installation nobody does it better than our team of experienced technicians. We have been serving the Greater Toronto Area for fifteen years, and are proudly dedicated to ensuring the complete satisfaction of our customers. It is our pleasure to provide you with the products and services you deserve; nothing but the very best. 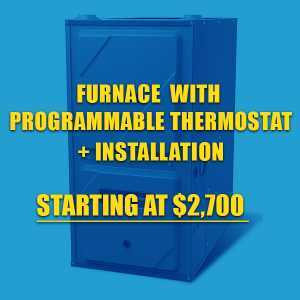 How Much Does It Cost To Install Central Air Conditioning System? 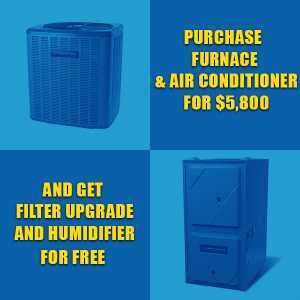 For a central air conditioner installation, you will expect overall costs between $2,500 to $6,000 for a 2000-square-foot home with already existing forced air heating ducts. In homes with less square-footage, the estimation can be expected to decrease greatly. Even if your home does not have already existing ductwork, our technicians can find the best and the easiest solution for you. The increase in the expected cost of your monthly energy bill is dependent most heavily on the type of air conditioner installation you choose. However, it is important to understand, that every pricing estimate will depend on many factors, therefore, there is no way to determine an exact price without inspecting an area of work firstly. With a full ducted central air conditioning system, the average expected cost can be $112.95 per month, while a ductless air conditioner may be expected to cost anywhere between $28.24 and $39.53 per month. These costs can vary greatly, however depending on the number of hours a day that they are being used, and it is important to note that the systems will only be required a few months out of the year. Where can an Air Conditioner be Installed? When it comes to the installation of an air conditioning system, we are the best in the business. We have a wide variety of services to suit all of your specific needs. 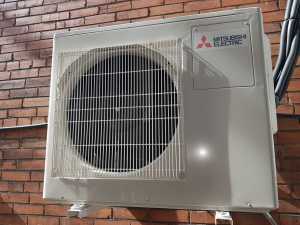 We offer both a ducted air conditioner installation and the ductless alternative, depending on the nature of your building and the price range you are looking to work with for the system to be installed. DeMarco Mechanical Services Inc. is happy to provide you with a free, no-obligation consultation to listen to your concerns, and discuss with you the possibilities we can offer. We offer our top quality air conditioning installation services to suit any your commercial and residential needs. One of our dedicated professionals can be with you within two hours of your request to set your plans in action, and to help you take the first steps. An air conditioning system comes with more benefits than just the initially obvious. Of course, its primary purpose is to maintain a cool and comfortable indoor temperature no matter the outdoor conditions. However, the system is also responsible for creating a higher degree of air circulation, increasing the overall air quality within your building. This is highly important for your home and business to remain comfortable. Along with defending you from the sweltering heat that comes with the summer months, we are proud to provide you with a system that will keep your indoor air clean and well circulated. If you have any questions on air conditioner installation, would like to receive a quote, or are interested in speaking to an experienced professional call us today at (416)-820-9155 or send us a request for a free quote today.